Love these shoes. Super cute, perfect fit, very comfy. After reading the reviews I went ahead and got the size 10/40 I'm a 9.5 so since no half sizes got the 10 and they are perfect fit. No looseness at all and didn't even feel like I needed to break them in. Which I'm sure once I do they will feel amazing. Shipping was prompt and I can't wait to wear them. Was waiting on them to arrive so I know what size to buy in another shoe I wanted. Hopefully they still have my size. I absolutely LOVE these! I wore them all day the first day I got them, which is normally not possible with a new pair of shoes. They are super comfortable and they look good too! I'm so happy I bought them. Comfortable and Beautiful! These do require some breaking in as they are leather, but a few days of wearing and mine felt great. I also ordered a size up after reading other reviewers' experience - (got a 40 instead of a 39) and mine fit pretty well. I have a little extra room between my big toe and the end of the shoe in the spacious toe box, which allows me to wear thick socks when its chilly and to add an insert for arch support (I prefer my footwear to be as orthopedic as possible). In terms of style I'm genderqueer and find these boots can hang with my outfit whether I'm dressing more masculine or feminine or somewhere off in the cosmos. I. Love. These. Boots. Definitely a bit wider than your average shoe, but after I got used to that fact, I fell in love with them. 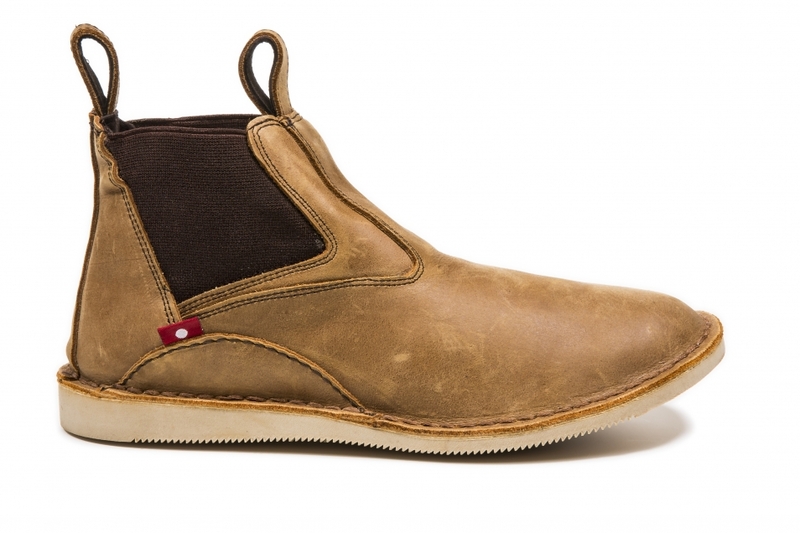 Massively comfortable, very utilitarian (especially with the gorilla wax), and get loads of compliments. Also, the width is honestly probably better for one's feet, anyway, so I feel good wearing these for long long periods of time. Thanks, Oliberte! Best of luck with what's next. comfy and durable. seriously my favorite pair of shoes and I get compliments on them all the time. Arrived early and Iâ€™m excited to wear them! The instep on one side is somewhat irregular because it is raised, but I think it might flatten out with wear. I have had them on twice and so far, verrry comfortable. They look amazing. I've been eyeing these for a while and finally ordered a brown pair in a 36/6. I am only giving these 3 stars based on the fact that when I received them the other day and put them on, they are huge!! I would say they are at least a half size too big. I am really bummed out, since they are a final sale item. Good quality work shoe. I bought a size larger than recommended and it's about .5 a size too large, but that's ok because I like a roomy toe box and space for thick socks. I read all the reviews and ordered a 41. I am usually a 40. They are unfortunately too wide and too long. The colour is definitely a distressed grey. It's a shame but 8 will try and find a good home for them.